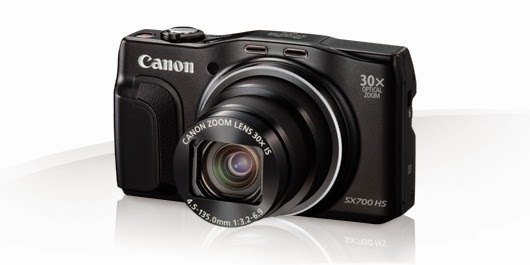 As you may be able to tell, I am rather excited about the latest bit of kit to turn up in the form of Canons SX700HS. As an artist I spend a lot of time with my cameras - whether I'm out shooting locations, setting up studio macros or photographing pieces of work so I can put them up for sale. Since many of you will probably do at least one of the above and may be looking to upgrade, I thought I'd share some of the results. Photography for me is a means to an end so I'm still figuring out what many of the buttons actually do. That said, if you want instructions on how to use it they do a remarkably idiot friendly manual (I actually read it this time) so I'll stick to the end results. One of the main reasons for wanting to improve on my previous point 'n' shoot was its flat refusal to believe anything existed in cloudy conditions or after about half past two in the afternoon. The SX700HS claimed to give impressive results even in very low light so I started with that. After that triumph, I decided to push things further and tried out this delicate bird skull, using only a single tealight for illumination. The image is pleasingly crisp and I was able to choose between the natural colour of the scene or, using the cameras own clever white balance, get a good 'daylight' shot if I wanted. Personally, the candle flame did it for me so I left it as was. Possibly the biggest issue people seem to be having with the new superzooms in general ( not just the Canon) is lens flare. We went round to our favourite haunt, Saltwick Bay, to catch the sunrise and while my elderly Panasonic Lumix had no trouble at all with the sun appearing from behind a band of cloud, the SX700HS had a pink fit. Literally. The reason for this is the number of things that one lens is meant to do. With 30 x optical zoom and good macro it's a great all-in-one for most conditions, but the range of focal lengths means there's no way to avoid this problem. To be fair, it doesn't do it all the time - in fact there have been a few things like the ice crystals on grasses above, where my old camera would have had extra sparkly bits all over the shop so it's worth playing with and can actually be used to give some very interesting effects once you know its limits. It's actually a wood ear fungus on an overturned log which I'm sharing because a) if I had to look at it, so does everyone else and b) because it means I can point out one last fun thing. On certain settings, you can control both the aperture and the shutter speed using the handy dial on the back of the camera. So, the only real ugly was the one I ended up getting a remarkably detailed shot of in gloomy woodland conditions. It also proved remarkably handy when taking a quick snap of the flower below for identification. The flower being bright white, some fiddling about was needed so I didn't lose all detail in the centre as the sun was fairly strong and reflecting off the petals. So all in all, a good buy. Practical for someone like me who needs a camera that can go anywhere without a team of sherpas to fetch all the extras and with the exception of the lens flare which you can't really avoid with this type, it's vastly exceeded my expectations. Nor was it terrifyingly expensive so I'm not afraid to use it.